Newcomer Family Obituaries - James E. Dulaney, Sr. 1941 - 2018 - Newcomer Cremations, Funerals & Receptions. James E. Dulaney, Sr., "Earl" or "Jim", age 77 of Akron, Ohio, died on Sunday, November 25, 2018 at Aultman Hospital in Canton. He was born in Jacksonburg, WV on October 3, 1941, the son of the late Ralph Dulaney and Virginia (nee Willey) Dulaney White. Earl was a graduate of Pine Grove High School in West Virginia and he was a retired machinist for Portage Machine Company and Goodyear Aerospace. 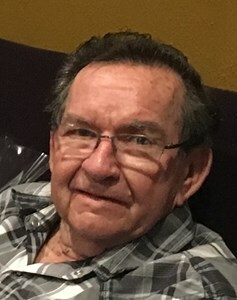 Jim enjoyed hunting, fishing, and antique cars, and raising special and unique chickens, but his greatest enjoyment was spending time with his family, especially the grandchildren and great-grandchildren. Survivors include his wife, the former Eva Lou Wright, whom he married on June 4, 1960; his children, Beverly (Larry) McDaniel, James E. (Michelle) Dulaney, Jr., and Michele (Winston) Moye-Anderson; his grandchildren, Brent, Keith, Karli (Guy), Krista, Kyle, Caleb, and Kiarra; his great-grandchildren, Mya, Adysen, Korie, and Cassious. His siblings also survive, Francis (Pat), Douglas (Charlotte), Ralph, Gordon (Mary) Dulaney, and Jerry (Vickie) White. Per his wishes, there will not be any calling hours or services and arrangements have been entrusted to the care of Newcomer Funeral Home, Akron. Add your memories to the guest book of James Dulaney, Sr..